Bag Filters with plastic (PVC) or galvanized metal support frame for fine filtration and air purification in air handling units for restaurants, hotels, automotive, industry. 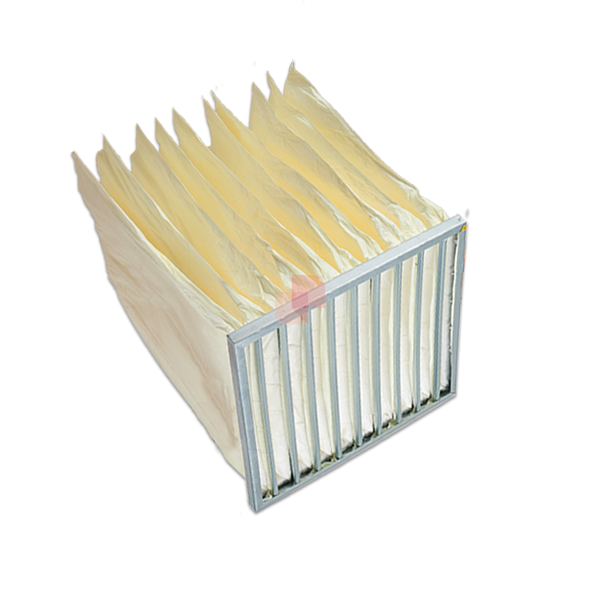 The Pocket Filters (or Bag Filters) for fine filtration are high efficiency filters perfect both as pre-filters or as final filters, ideal for air purification, particularly suitable for horizontal and vertical flows of air handling units (AHU), in kitchen hoods for catering and restaurants, in heating, ventilating, and air-conditioning (HVAC) systems in public buildings (offices, hospitals, …) and in industry (pharmaceutics, fine-mechanical, food industry). Pocket / Bag Filters have variable sizes and consist of a variable number of pockets / bags (see Pockets / Bags Table); a typical bag filter has a dimension of 592 x 592 mm with a depth of 600 mm and frame thickness of 25 mm and consists of 3 to 10 parallel bags. Bag Filter media efficiency varies from very low (coarse filter) to very high (fine filers), with efficiency class G4 – M6 – F7 – F8 according to European Standard EN779:2012. 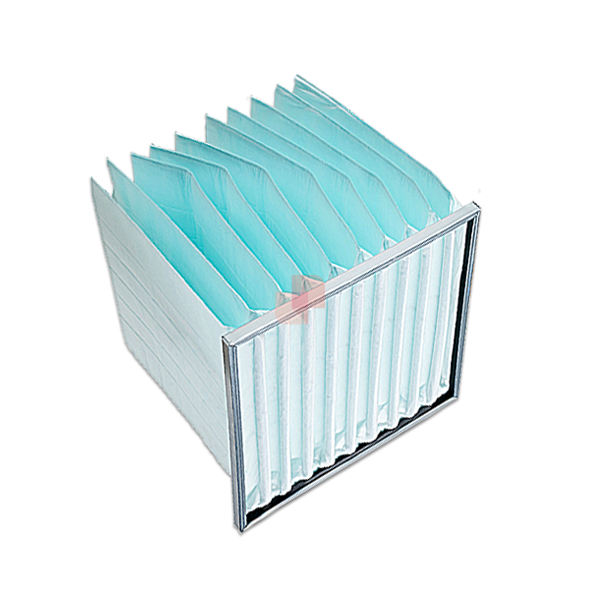 The Bag filter material is made of polyester fibers of different thickness or number of layers, depending on the required filter performance, fixed to a robust support frame to prevent flexing and buckling (in PVC or galvanized metal) and coated on the air output side with a thin synthetic veil for better strength and protection. The bag filters are an excellent choice for healthcare facilities, automotive paint booths, commercial buildings and various industrial applications, offering low resistance at a high level of cleaning efficiency with high dust holding capacity; pocket filters are used to increase the filtration area according to the front surface: by increasing the filtration surface area decreases the pressure drop of the filter (energy loss) and increases the accumulation (thus the duration). 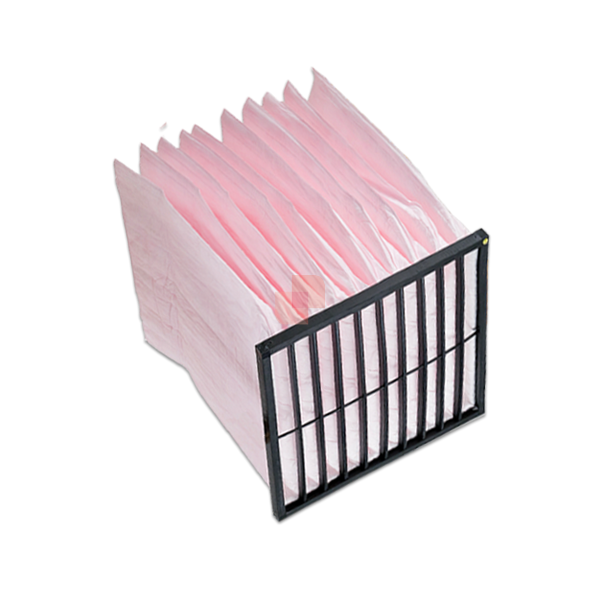 Polyester synthetic media Pocket Filters has been developed for the lowest possible energy consumption, which means a very low initial pressure drop, which remains low over the lifetime of the filter.